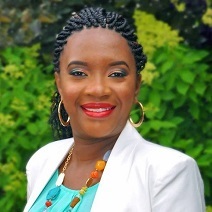 Author Chavonne D. Stewart is an evangelist, life coach, missionary, and blogger living in Atlanta, Georgia. Her blog, Real Conversation 4 Real People, is an exploration of culture through conversation, without the restraints of political correctness. She is an executive board member of Sisters On Mission, Inc.
Sisters On Mission’s purpose is to educate, train, provide resources, and mobilize believers to increase their involvement in reaching the world for Christ. Chavonne holds an MS in Management from Troy University and a BA in History from Kennesaw State University. She enjoys history, DIY shows, traveling, reading, shopping, and spending time with family and friends. 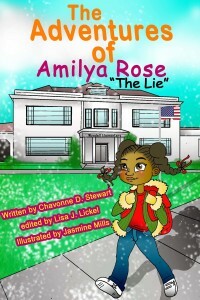 Amilya Rose Patterson is a witty eight-year-old with lots of personality. 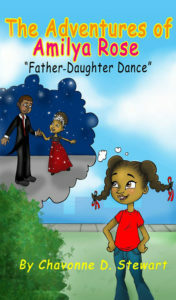 With her “can do” attitude and dynamic brainpower she is very creative and has a vivid imagination. 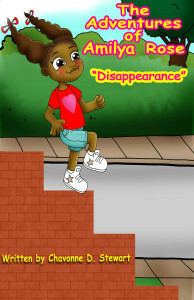 As a result of her imagination, Amilya is determined to set out on a new adventure, even if it means getting in trouble in the end and learning a lesson. Once she sets her mind to do something, nothing can stop her. So, friends, come along, join Amilya Rose on her adventure.